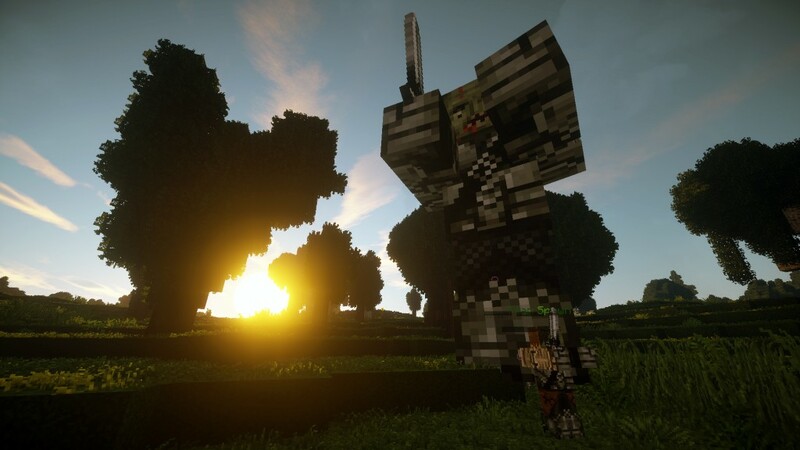 MassiveMobs is a custom unique plugin, developed by us here at MassiveCraft. We don’t have any boring default mobs. 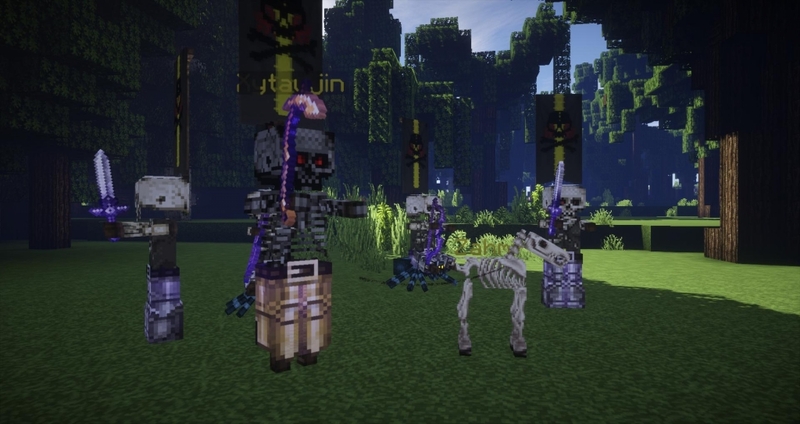 The server spawns custom mobs instead. 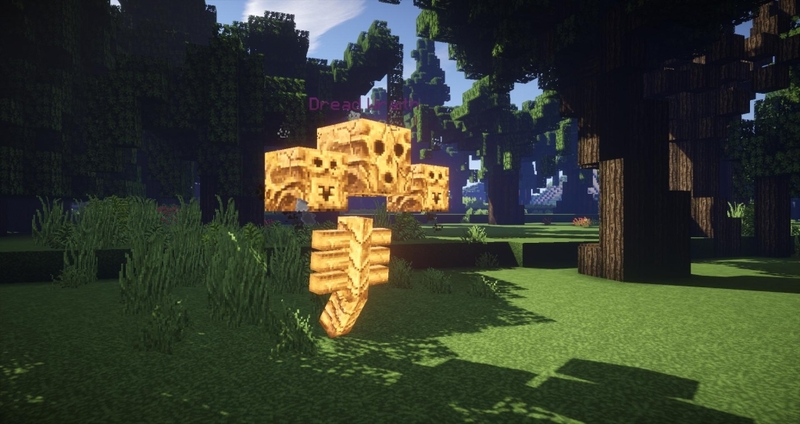 Hundreds of different mobs offer a varied PvE experience. 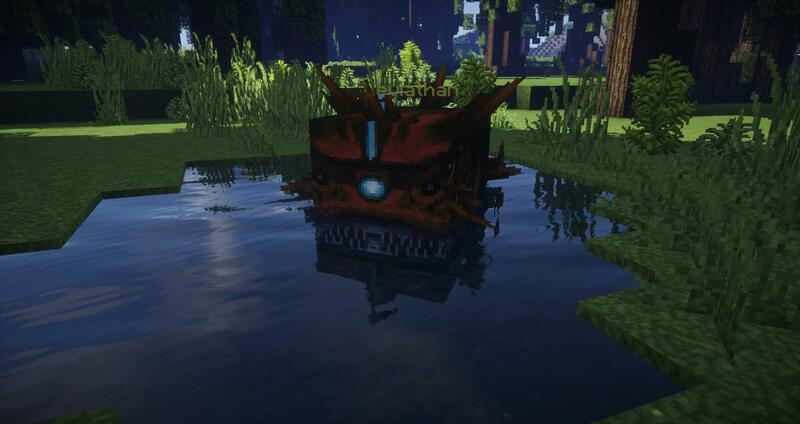 You will even find naturally spawning bosses. You can tame both animals and monsters using our custom taming system. Then you can equip your loyal warrior with gear of your choice and toggle if it should follow you around and aid you in combat. Money and XP is only dropped from monsters (not passive animals) and is distributed among the players contributing to the kill. Every mob has a single unique item with 3% drop chance. The item rarity is the same as the mob rarity. Common Most mobs. Easy like default mobs. 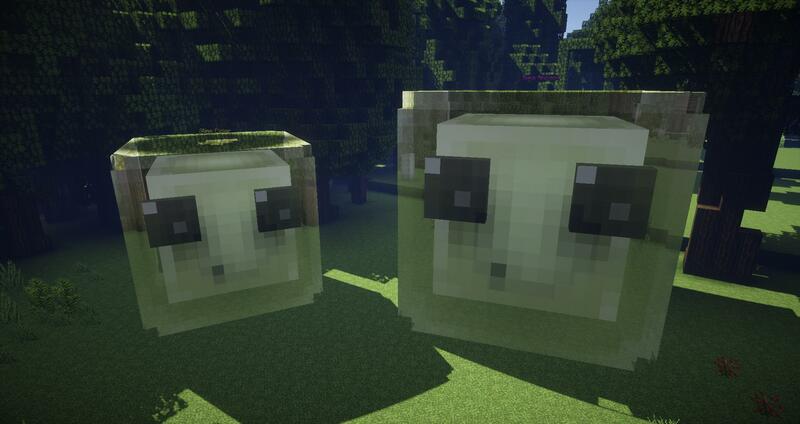 Enchanted Every 10 mobs. Hard without gear. Uncommon Every 100 mobs. Hard with gear. Rare Every 1000 mobs.  Call faction for help. 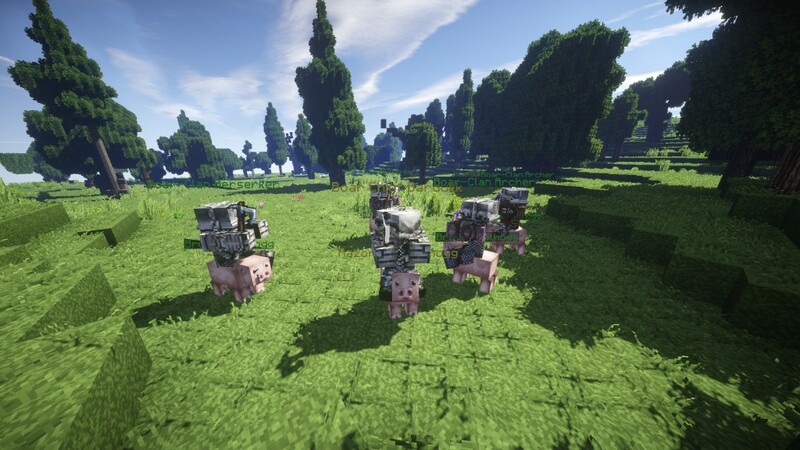 Epic Every 10000 mobs. Call your alliance. Legendary Almost immortal. Not yet on the server. You can tell the mob rarity by the nameplate color. 0.04 means you have a 4% chance to get 1 Regal. In default Minecraft you get 5 XP per monster. To make our PvE experience interesting, we have various bosses for you to find and slay! Entities so ancient, their true names have been long forgotten. Giant, ravenous and devastating, these monsters seek to absorb everything that lives and breathes, along with everything that glitters and shines. Hungry for both flesh and gold, these eldritch beings slowly dissolve their targets after consuming them in their corrosive goo, leaving the poor victims helpless as they feel their organs and limbs excruciatingly wither away. Pity for the Alorians who accidentally woke these two hate-filled horrors from their millenia-long slumber while excavating. These scorching-hot monsters feast on the ashes of everything, living or dead. They do seem to prefer scorched bones and seared flesh to wood and stone, so I would not venture too close to these lumbering beasts, unless one of your life goals is to find out what it feels like to be inside a deep-fryer. A long time ago, before history was written and memories began, a great general was on the verge of defeat. In his desperation, he turned to the dark forces of the world, begging for victory at any cost. The forces granted him immortality, but at a great price. Eons passed and the general – unable to live and unable to die – developed a crushing madness and an insane hatred for anything living. Infecting anything he slays with his curse, and having forgotten his old name, he took on the name of Xytaujin and continued raising an undead army to annihilate all life in existence. A great sea-serpent of old, the Leviathan is as cunning as a snake and wise beyond measure. Although she can not speak, her intelligence is frightening and she can outsmart and outmaneuver any slower warrior. The Leviathan is also extremely greedy, hoarding gold and treasure and also going to great lengths to protect it. She is so ruthless with her property, anyone who she sees, is considered a potential thief – a threat to her treasure which she must systematically eradicate. A frightening sight to behold, the Dreadwraith remains a complete mystery. Almost nobody survives an encounter with it and from the rare survivor accounts we’ve pieced together, nobody really wants to. Painstakingly composed from the gibberish of the maddened survivors, it seems the Dreadwraith devours the very soul of their victim, for some unknown purpose, leaving them without the strength or will to defend themselves from the wraith’s physical attacks. Those who survive never stay alive for long, as they seem to have lost their will to live. They either go out seeking for death or simply disappear from the world altogether. Very little is known about this rare and elusive monstrosity. The reports are few and far between, but survivor stories paint a horrifying picture of a beast that can not be stopped. The motives for this gigantic creature are entirely mysterious – it appears from nowhere, breaks down entire city walls to devour the inhabitants within and disappears without a trace. If spotted in the wilderness, your best bet is to run and warn all villages and towns you can reach. The power of this monster is unmatched – if you wish to take him down, you will have to assault him with the full military might of your entire alliance. Bring out the big guns. Don’t let the size of this one deceive you – this clever Vampiric Kleinfolk has by unknown means managed to tame the mythical Cockatrice. Many travelers have been foolish enough to laugh at the sight of this tiny psychopath, only to meet a violent and painful end. This little guy is fast as lighting and just as deadly. 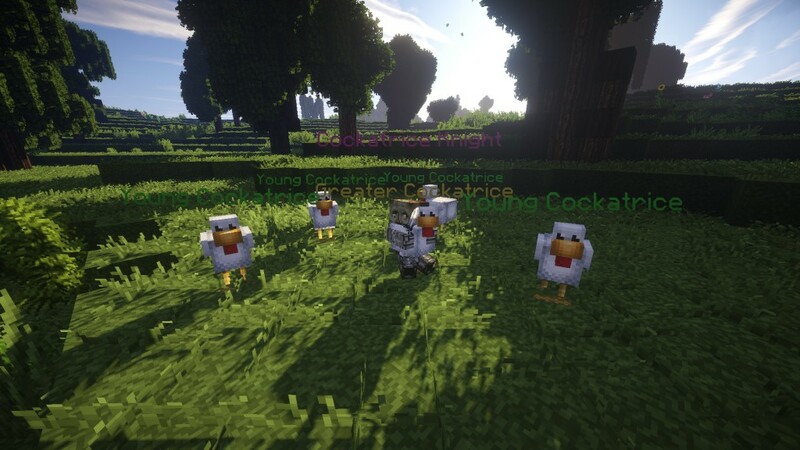 If you somehow manage to evade his blade, the Cockatrice pack following him may prove a bigger issue as they are magical creatures, filled with nasty abilities to make you suffer and end your life. If you’re not prepared to fight to the death, just run. Don’t bother telling people what you escaped from. Nobody will believe you anyway. Rumor has it that if you hear the Deathwatch Beetle ticking, someone close to you will die. This is not entirely true. More often than not, it is the person who hears the ticking, that meets a messy end. In addition to that, as long as you hear the ticking, you’ll be fine. If the ticking stops – make peace with whatever gods you pray to. The Deathwatch Beetle is a fast and ferocious creature. Nearly impossible to outrun, the beetle and its swarm will overwhelm any less experienced traveler in a matter of seconds. If confronted with these beasts in the wild, you better make your stand and hope your blade is faster than their pincers. Bardukk and his gang of barbarians roam the lands of Aloria – looting, pillaging and burning everything that stands in their way. These brutish tribal warriors have tamed the large pig-like bathoggs and ride the ferocious beasts into battle. Their leader Bardukk rides the largest bathogg and wields his ancestral war-axe into battle. These bandits have a tendency to let out a war-cry before charging so if you hear anything like that – be prepared to either dish out or receive some violence. While they are barbarians, one should not underestimate their ability to find creative and effective ways to kill you. Exercise caution. Common Enchanted Uncommon mobs can be tamed. Rare Epic mobs can usually not be tamed. It’s done by giving items to the mob. Simply right click the mob with the item you want to give. Taming works on both animals and monsters. 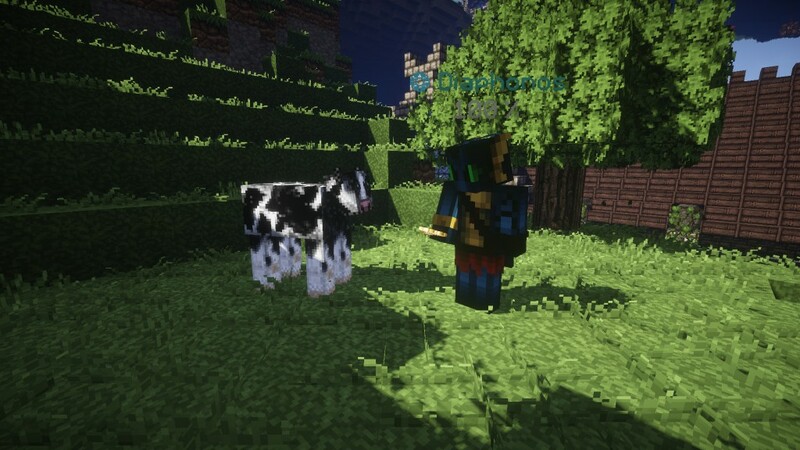 Tamed mobs will be kept by the server. 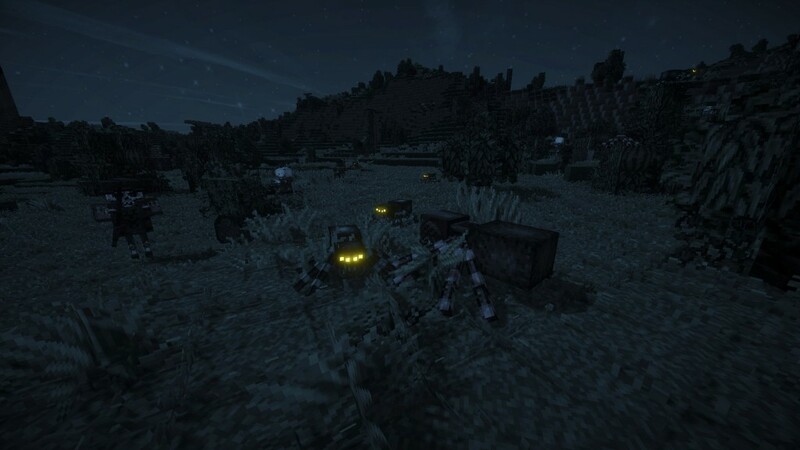 All other mobs will be removed as soon as you leave the area. NOTE: You must tame your animals as well! Otherwise they will escape (disappear)! The amount of items you must give. Be prepared, hostile monsters will still try to attack you while you’re busy bribing them with valuables! Wear armor and be careful not to get surrounded by spawning hordes! Monster: Diamond, Gold Ingot and Emerald. Right click with empty hand to toggle if the mob should follow you. Right click while sneaking with empty hand to remove all equipment. Right click while sneaking with weapon or armor in hand to equip. Right click with a lead in hand to put that lead on them. All types of mobs spawn in all biomes. Monsters spawn at light level 8 and below. Monsters may not spawn on logs and leaves. Slimes only spawn in slime chunks. Slimes only spawn at or below height 40. 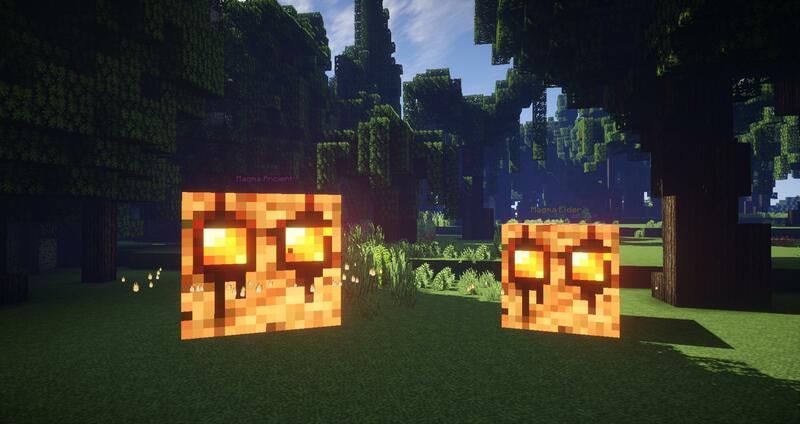 Blazes and Magma Cubes only spawn at or below height 20. Animals spawn at light level 9 and above. 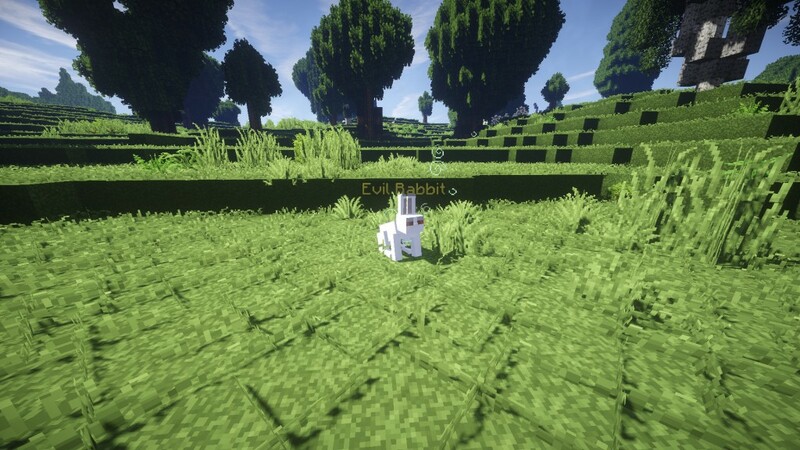 Animals only spawn on grass blocks. Ocelots may also spawn in trees.